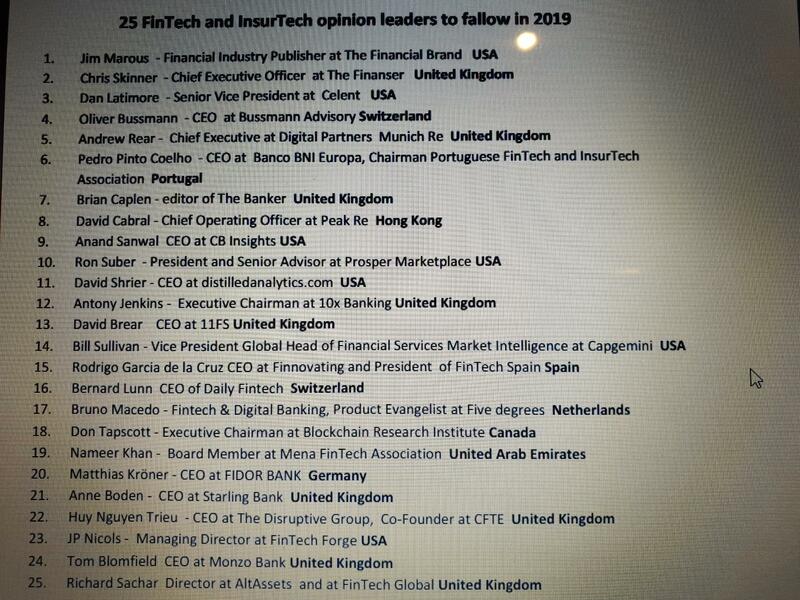 A real pleasure to be in the Top 15 of the list of 25 FinTech and InsurTech opinion leaders to follow in 2019. Keep pushing FinTech & InsurTech! !